I am a firefighter and chef. I come from a long line of chefs, although we did not call them that, and certainly they never used a cookbook as we know it. But my Southern heritage, which emphasizes a love of a place as well as food, is deeply ingrained in me. And seeing that same pride of location that South Carolina has, I was drawn to the food. Capturing that pride and that food was a natural extension. Whether the book is successful or not is not the concern as much as me saying “Thank you” for giving me a home here that I can identify with. From the hidden treasures tucked away in Abbeville to sweeping panoramic views overlooking the Lowcountry, these are sights, tastes and stories of our favorite restaurants. With over 130 restaurant recipes, full page photos and descriptions, the range of amazing food that is uniquely South Carolina is showcased. An homage in words and pictures, Signature Tastes of South Carolina captures the culinary essence of restaurants from the Palmetto State. Rinse and drain scallops; pat dry with paper towels. Dip in coconut milk and fried garlic, sprinkle with flour and pepper. Heat 2 tablespoons butter in large skillet over medium-high heat. Add scallops; sauté until browned outside and just opaque in center, about 2 minutes per side. Serve around Sofrito collard greens and Carolina gold rice pilaf. Top with each scallop with 1 tsp chili sauce and a drop of cilantro pesto. Wonderful combination. Place all ingredients – except the cornstarch-water mixture – in a sauce pan or pot. Bring to a rolling boil. Reduce heat to medium and let boil for 10 minutes, or until reduced by half. (Note that the vinegar will be quite pungent as it burns off. Generally, I find rice vinegar less strong than regular white vinegar). Reduce heat to low and add the cornstarch-water mixture. Stir to incorporate and continue stirring occasionally until the sauce thickens (about 2 minutes). Remove from heat and taste-test. You should taste “sweet” first, followed by sour, then spicy and salty notes. If the sauce isn’t sweet enough, add a little more sugar. If not spicy enough, add more chili. In a large, heavy casserole, cook the bacon in the olive oil over moderately high heat until crisp, about 5 minutes. Using a slotted spoon, remove the bacon; reserve it for another use. Add the onion, garlic, bay leaf, thyme sprig and crushed red pepper to the casserole and cook over moderately low heat, stirring, until the onion is softened, about 5 minutes. Add the chicken stock and 1 1/2 teaspoons of salt and bring to a boil. Add the rice and return to a boil, stirring. Cover and cook over low heat until the rice is barely tender and still quite soupy, about 12 minutes. Add the tomato and okra to the casserole and cook until it is just tender, about 4 minutes. I am a firefighter and chef. I come from a long line of chefs, although we did not call them that, and certainly they never used a cookbook as we know it. But my Southern heritage, which emphasizes a love of a place as well as food, is deeply ingrained in me. And seeing that same pride of location that Portland has, I was drawn to the food. Capturing that pride and that food was a natural extension. Whether the book is successful or not is not the concern as much as me saying “Thank you” for giving me a home here that I can identify with. From the hidden treasures tucked away in the Pearl District to sweeping panoramic views overlooking the river, these are sights, tastes and stories of our favorite restaurants. An homage in words and pictures, Signature Tastes of Portland captures the culinary essence of restaurants across Portland. With over 125 restaurant recipes, full page photos and descriptions, the range of amazing food that is uniquely Portland is showcased. An homage in words and pictures, Signature Tastes of Portland captures the culinary essence of Portlandia. This pumpkin gnocchi recipe is the essence of Portland vegetarian hub Natural Selection. Chef Aaron Woo’s goal is to create vegetarian food not based solely on vegetables, but on the depth and balance of flavor. Owing to rich, sweet and tangy pumpkin sauce, these fluffy homemade gnocchi will leave you satisfied with none of the heaviness of your classic Italian dinner. In a non-reactive sauce pot, add water, butter and 1 teaspoon salt. Heat at medium-high. Once mixture comes to a simmer, turn heat down to medium and add flour all at once. Stir rapidly and consistently with a wooden spoon, until the dough pulls away from the sides and the bottom of the pan is clean with no dough sticking to it. The dough should be glossy and smooth. Turn off heat and continue to stir rapidly for 5 minutes, evaporating moisture from the dough. Immediately transfer the dough to an electric mixer with a paddle attachment. Add 1 teaspoon salt, Dijon mustard, chopped herbs and ground fennel seed. Mix on low for 1 minute. Add 3 large eggs, one at a time, beating between low and medium, waiting for each egg to be completely incorporated before adding the next one. When the dough is cohesive, place into a pastry bag with a 5/8-inch plain round tip. Bring a pot of lightly salted water to a simmer. Holding the pastry bag over the edge of the pot of water, squeeze bag and cut dough into 1-inch dumplings with a paring knife. Allow pieces to fall directly into the water. Work in batches of 15-20 pieces. When the gnocchi float to the surface, allow to poach for 2 more minutes. Then remove pieces with a slotted spoon or strainer to a well-oiled baking sheet. Taste one for desired tenderness before continuing. When all of the gnocchi are finished poaching, cool in refrigerator for at least 1 hour. Cover until ready to use. Remove skin and seeds of a small baking type of pumpkin. Cut into 5-6-inch chunks, toss with olive oil and salt and pepper. Bake in 350° oven until just tender when pierced with a paring knife. Remove from oven and let cool. Cut cooled pumpkin into 3/4-inch cubes. Peel and quarter apple, removing the entire core. Put apple and apple juice in a non-reactive sauce pot. Add 1 tablespoon lemon juice, 1 teaspoon salt and cover. Bring to a simmer over medium-high heat. Remove the apples from the poaching liquid and cool in refrigerator. Cut the cooled apples into 3/4-inch cubes. Steam or roast 2 cups of peeled, seeded pumpkin flesh until completely cooked and very soft. Transfer cooked pumpkin and caramelized onion to a blender and puree with salt, pepper, lemon juice and vegetable stock to taste. Add enough stock to create a thick sauce consistency. In a non-reactive sauce pot, combine 1 cup white balsamic vinegar and 1 cup apple cider vinegar. Reduce by half over medium-high heat. Add 1 cup apple cider and reduce by half again. Turn heat down to medium and reduce the mixture to the consistency of maple syrup. Let cool. I am a firefighter and chef. I come from a long line of chefs, although we did not call them that, and certainly they never used a cookbook as we know it. But my Southern heritage, which emphasizes a love of a place as well as food, is deeply ingrained in me. Capturing that pride and that food was a natural extension. Whether the book is successful or not is not the concern as much as me saying “Thank you” for giving me the opportunity to be here. Tired of hot dogs and burnt hamburgers on a camping trip? Well search no further! The original In The Wild Chef, Stephen Weston, along with Steven W. Siler, show even the “noobie” camper how to cook like a three-star chef. With tastes from around the world, and recipes that are delicious and easy to carry, In The Wild Chef is a must-have for anyone who loves great food while In The Wild. It is the second book in my book series. I felt that food is such an important part of the Holidays and had a large collection of recipes and stories from Holidays in the past. A collection of recipes and menus for Holidays of Christmas Eve, Christmas, New Year’s Day, New Year’s Eve, Epiphany,Valentine’s Day, Carnevale. Also includes short stories of Holidays spent in the mountains of Italy. The Book was selected for a Gourmand World Cookbook Award. Wash grapes, pat dry, cut in half., set aside. Place olive oil in saute pan and saute minced onion. When onion is transparent, add in rice and let rice toast for approx 2 minutes. Then add in ¾ cup vegetable broth, stir constantly until liquid has evaporated, repeat this until rice is cooked (risotto should take approximately 18 minutes to cook till al dente consistency). Halfway through the cooking (9 minutes) add in halved grapes. When rice is cooked ,remove from heat, top with butter and parmigiano-reggiano cheese, stir gently and serve. Garnish plates with some whole grapes. For someone that is a ‘foodie’ if is somewhat a cathartic experience. Take your time and remember that a book about food or with recipes takes awhile to write, it is not a task done in a week. Testing recipes is a time consuming task. I wanted to keep the integrity of the book and went with a published that kept this book as unique and not wanting to make it the same as all the other books out there. I felt that that was important. Celebrity Chef/Award winning author Maria Liberati is a former international model and also entrepreneur. Discovered the foodie inside when I was in Italy modeling and then began exploring my roots and ended up falling in love with and studying (professionally) the culinary arts. I decided to combine my love of the culinary arts with my talent for writing and that is how my first book was ‘born” and ultimately the entire book series. The Basic Art of Italian Cooking book series won the Gourmand World Book Awards in Paris for Best Italian Cookbook. I now divide my time between the USA and a country farm in Italy where my book series is writte nand developed. The series and myself have been featured in the media in print TV and radio inclduing Cooking Light Magazine, Woman’s World, Zest magazine (UK) The San Francisco Chronicle, Celebrity Society magazine as well as NBC TV, WFMZ TV, WOR Radio and others. I also serve as spokesperson and consultant for many well known kitchen, wine and food product companies, design culinary tours and culinary experiences for corporate groups, private groups and individuals as well as corporate training programs with culinary themes. I have also served as Professional speaker for many business and consumer oriented events. Currently I am developing a TV program to be filmed internationally but shown in the USA on the culinary arts and travel. To share my knowledge to help others. The Asian Flavors Diabetes Cookbook is the first book that takes the naturally healthy recipes and meals of Asian cuisine and crafts them specifically for people with diabetes. Authored by Corinne Trang, who was dubbed by The Washington Post “the Julia Child of Asian cuisine,” this unique collection of recipes will be attractive to anyone with diabetes looking for a fresh approach to diabetes-friendly cooking. 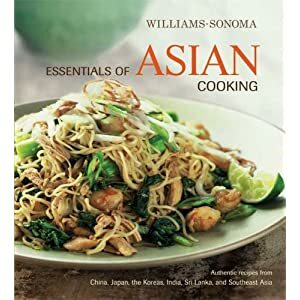 With more than 110 recipes, this compilation of simple comfort foods from all over Asia will include classics such as wontons and fresh spring rolls, and more contemporary recipes like garden tomatoes and mixed greens salad tossed in an Asian-inspired dressing blending soy sauce, sesame oil, and wasabi. The recipes are nutritionally sound, with plenty of fresh vegetables and complex flavors using readily available ingredients, and they rely on healthy cooking techniques such as steaming, stir-frying, braising, and grilling. Filled with a wide variety of vegetables, whole grains, and protein-based dishes, readers will discover countless new flavors to enjoy with their family. With meals inspired by Chinese, Japanese, Korean, and Southeast Asian food cultures, the Asian Flavors Diabetes Cookbook will become a “go-to” book for Asian-inspired diabetes-friendly meals. The key to a great fried rice is to cook the rice the day before, chill it overnight, and stir-fry it the next day. This will keep the rice grains separate and keep them from getting gummy. A classic in Asian food cultures, fried rice is a perfect way to use up leftovers, such as stir-fried vegetables, roast chicken, or grilled shrimp. The technique is quite simple, requires high heat, a large skillet, and constant tossing of the ingredients while cooking. In order to distribute the heat evenly throughout. 1. In a large nonstick skillet over medium heat, add the oil and stir-fry the garlic, ginger, and mushrooms, until fragrant and golden, about 2 minutes. Add the rice and egg, and continue to stir-fry, thoroughly incorporating the egg, until hot, about 10 minutes. Season with soy sauce and sesame oil, and black pepper to taste, and continue to stir-fry for 2 minutes more. Serve hot. This is the only genre I’ve ever written. Corinne Trang is the award-winning author of several books, including Noodles Every Day, Curry Cuisine, The Asian Grill, A Food Lover’s Companion, Vietnamese, Essentials of Asian Cuisine, and Authentic Vietnamese Cooking. Dubbed the “Julia Child of Asian Cuisine” by the Washington Post, she has been a guest on numerous shows, including NBC’s Today Show, The Martha Stewart Show, CBS News, ABC News, Fox News, and Bloomberg Radio. Her articles have appeared in Saveur, Food & Wine, Relish, Cooking Light, Fine Cooking, Gourmet, Islands, and Bon Appetit. I think people tend to find Asian cooking to be intimidating and often are under the misconception that all Asian food is like the greasy take-out they get from some restaurants. I wanted to show people how easy — and healthy — it can be to make their favorite Asian dishes at home, using fresh, wholesome ingredients. Farina’s Asian Pantry is an interactive app for iPad and iPhone that is designed to help people bring the fresh, vibrant flavors of Asia to their homes. With high-definition video how-tos, a beautifully detailed pictorial ingredient glossary, step-by-step instructions, and a shopping list, this interactive cookbook was designed to help demystify Asian cooking. A popular technique in Cantonese cooking, steaming is a delicious and healthy way of preparing fish and it keeps the meat flavorful and moist. I enjoy serving this simplistic dish family style with Minced Chicken in Lettuce Cups. •	Place a steaming rack in a work or a deep pan and fill the pan with 2 inches of water. The water should be below the steaming rack. Bring the water to a boil over high heat. •	Combine the ingredients for the sauce in a small bowl. Place the fish filets on a plate suitable for steaming and large enough to hold the filets in a single layer. Spoon the sauce evenly over the fish filets. •	Place the plate of fish on the steaming rack, cover tightly and steam the fish over high heat for 7 to 10 minutes per inch thickness of fish. Carefully remove the plate from the steamer and transfer the filets to a warmed platter and spoon the sauce over the fish. •	To serve, heat the remaining 2 tablespoons of oil in a small pan until near smoking. Place the green onions and cilantro on top of the fish filets and carefully drizzle the hot oil over the fish. Serve immediately. My experience is only writing cookbooks. I had quite a few learnings when writing my cookbook app, as opposed to an actual printed book. It really made me focus on creating a format that is clear and concise and content that fits onto a small screen. Do your research and find a niche topic. So many people are using their iPads and iPhones in the kitchen these days. I decided to design a cookbook app to help others with cooking simple Asian dishes from shopping to plating. Farina’s Asian Pantry is available through iTunes. Farina Wong Kingsley, a San Francisco native, started cooking as a child in her Cantonese grandmother’s kitchen. Her culinary expertise was honed at the Tante Marie’s Cooking School in San Francisco. Farina’s passion for cooking took her abroad, where she lived in Asia while training at Hong Kong Kowloon Restaurant School and the Mandarin Oriental Hotel in Thailand. Her most recent writing endeavor was authoring the cookbook, “Organic Marin-From the Land to the Table.” Farina’s grace and expertise in the kitchen has made her a favored culinary instructor and Asian food writer. She currently resides in Singapore with her husband and 2 daughters. Canadian food is so often discounted as a cuisine, but it is distinct and has a rich heritage. My co-author (Chef Suman Roy) and I felt it was important to bring Canadian food to greater recognition. Canadian cuisine is distinctive. From Pemmican to Poutine: A Culinary Journey through Canada’s History from Coast to Coast represents the unique and diverse food culture and history of Canadian cuisine. Through recipes, history, and stories, this book will shine a much-needed spotlight on the deliciousness of Canadian cuisine and brings it to the forefront for food lovers around the world. Blueberry grunt is thought to have come about when British settlers tried to adapt their favourite puddings to the local produce and primitive cooking utensils that were available to them in the new world. In Nova Scotia, blueberries were found to be one of the most abundant indigenous crops on the penninsula and so it was a natural choice for this juicy berry dish. Blueberries are even today one of Nova Scotia’s top fruit crops. The name “grunt” comes from the sound the berries make while they are being cooked down. This dish became so well liked that it was often used as a breakfast, or even a main dish; it was not until the nineteenth century that it became primarily served as a dessert. It makes an excellent breakfast, especially on a Sunday or for brunch. As a dessert, it tastes great served warm with heavy cream or a scoop of vanilla ice cream. In a large saucepan combine blueberries, nutmeg, cinnamon, sugar, lemon juice, and water and boil gently until well blended and cooked down. In a mixing bowl, sift together flour, baking powder, salt, and sugar. Cut in butter and add enough milk to make a soft biscuit dough. Drop by spoonfuls into the hot berry sauce. Cover tightly with a lid and simmer for 15 minutes. The dumplings should be puffed and cooked through. Transfer cooked dumplings to serving dish. Ladle sauce over top and serve with whipped cream or ice cream, if desired. This book is very structured – divided up by regions with subsections within each region – which I found helpful when I was researching and organizing the information. I liked that method so much that I’m using a similar method to organize my next history book, which I’m currently working on. Be organized. I wish I’d known about writing studio software like Scrivener when I was working on this book; it would have made my life so much easier. A Microsoft Word is not your only option, find software that is uniquely set up to help you put a book together and it will pay for itself many times over in your time and your sanity. Since my co-writer had contacts in the publishing industry, I let him take the reins on this. We ended up publishing through The Key Publishing House. I was born in Toronto but grew up in a small town in Nova Scotia, until I returned to Toronto for university. I’ve always loved writing and received an Hon. BA in English Literature at University of Toronto. If you had told the teenaged me that I would someday be an author of non-fiction, I wouldn’t have believed you, but I’ve come to really love writing books about history, particularly the history of everyday things. My next book will be about textile history. I am a firefighter and chef. I come from a long line of chefs, although we did not call them that, and certainly they never used a cookbook as we know it. But my Southern heritage, which emphasizes a love of a place as well as food, is deeply ingrained in me. And seeing that same pride of location that Boise has, I was drawn to the food. Capturing that pride and that food was a natural extension. Whether the book is successful or not is not the concern as much as me saying “Thank you” for giving me a home here that I can identify with. The Signature Tastes of Boise is the journey for your eyes, your mind and your palette, where every signature dish is portrayed with a spectacular full page photograph, inside information about the eatery, quotes from the chefs, and of course, the signature recipe. The restaurants and chefs that were gracious enough to share their time, recipes and stories that make up The Signature Tastes of Boise truly have defined the taste of the city. Now, not all are what would be classified as “fine dining”, and keeping with the low-keyed pulse of the city, many do not want to be. These establishments are much more than businesses; they are an integral part of Boise and share in its culinary heritage. In essence, this is a “culinary postcard” that serves as an homage to the City of Trees. This is the first book we published as a bona-fide publisher…I decided to self-publish the first book, because I am impatient. And I wanted the control of it, good or bad. So I went through Lightning Source. Now, what I did do in the beginning was lay a foundation for a publishing company; hence I could hopefully repeat the success I expected on that first book. Now, we have a dozen titles, with several authors we are publishing other than myself. I want to give a chance to other authors, who have the passion to see this through. Leeann’s first book: “The Hamptons & Long Island Homegrown Cookbook” is available now. “New York City Homegrown Cookbook” to follow. Leeann has worked in restaurants and food catering and cooks with passion, using food ingredients from local NYC Greenmarkets and her herb and farm-ette in the Garden State. She writes a Food & Drink column for Examiner.com, curating the food spectrum that dazzles and elevates the radical New York food world. “Master Chefs and their Gardens” chronicles the making of the book, “The Hamptons & Long Island Homegrown Cookbook,” as well as the nexus of garden art and culinary art, food events, lectures, Greenmarkets, growers, cookbook reviews, and food stories. “Garden Glamour” is the little black dress for gardeners, highlighting best practices, lectures, garden book reviews, romantic and glamorous gardens and insouciant anecdotes about the humbling world of gardening.